We are students for “Digital Media” at the Hochschule Darmstadt. Klangpong was developed in the 2nd semester during our interface design course curated by Joerg Waldschuetz and Oliver Schneider. Our team members are Alex Ewald, Johannes Freund, Sebastian Gerhard & Dominic Szablewski. Klangpong was built with Processing 0135 Beta. You can download the complete sourcecode and all additional libraries needed to run the game in the following ZIP file. The game was tested on Windows an MacOSX, but it should also run on Linux. Please refer to the included readme.txt for more information. 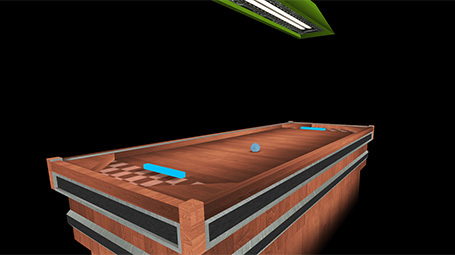 The Klangpong Documentation describes the concept and developement process and the final technical implementation of the game.